If you’re just starting out, the last thing you need is a wrong choice of piano keyboard. Making a wrong choice can cost you a lot, and we’re not talking just financially. There are several factors that should be taken into account when choosing the best keyboard for beginners, as well as some questions that a piano beginner frequently ask. And in this comprehensive guide we’ll go through all of them, helping you along the way. If you follow our advice, you’ll have yourself a great keyboard for starting out. Also, you will learn all there is to playing keyboards as a beginner, becoming quite an expert on the subject. 1. Which is better for beginners, a keyboard or a piano? 2. 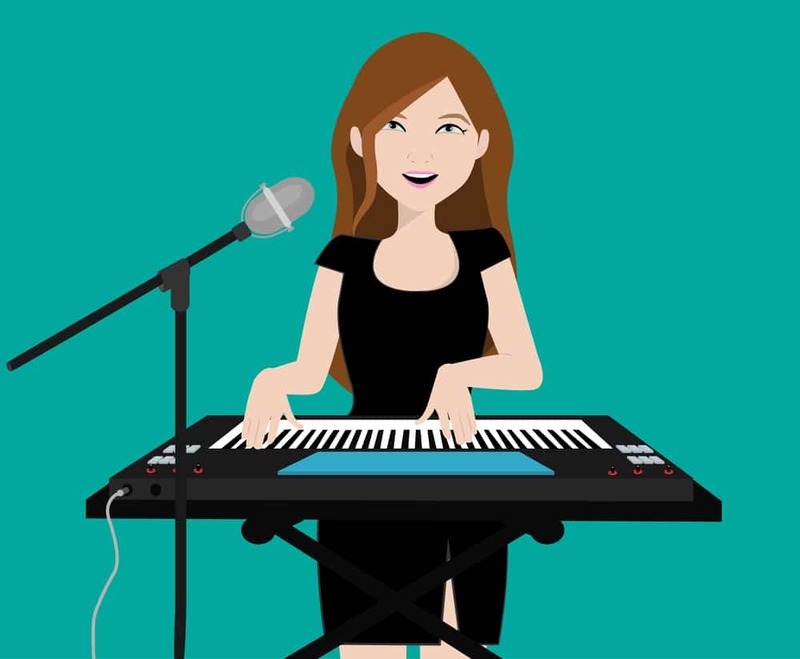 Can you use keyboard to learn piano? 3. How many keys should a keyboard have for beginners? 4. How many months will it take for beginners to learn to play the keyboard? 5. How long it takes to master a musical keyboard? 6. 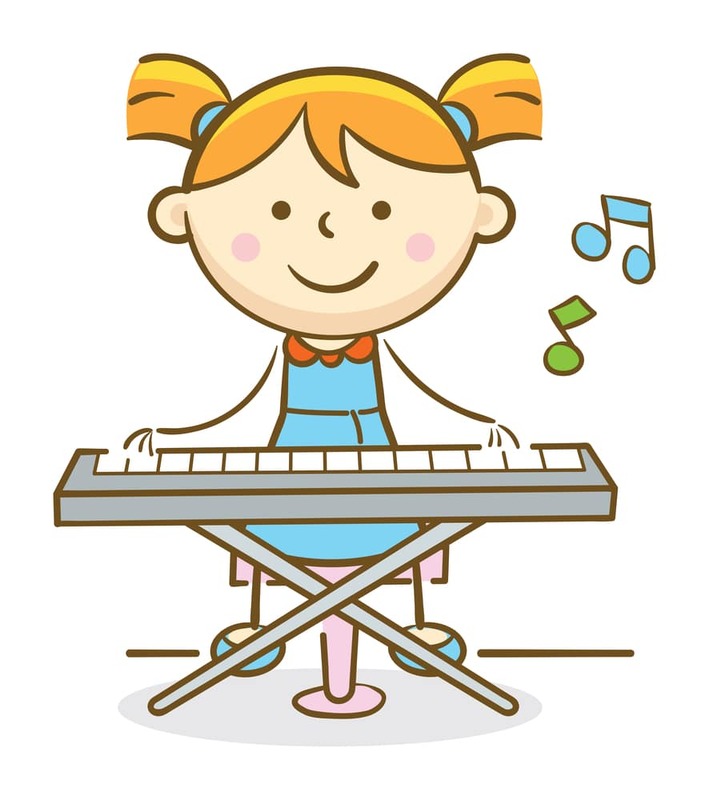 What is the best way to learn to play a musical keyboard on your own? Many people assume that more expensive automatically means – better. If you’re just starting out, you probably don’t need top-notch equipment and instruments. Yes, quality is important, and yes – quality usually comes with a high price on it, but it’s not always like that. For a beginner, it’s much better to start on a cheaper instrument, and gradually go up the scale. Because buying the most expensive instrument for a piano novice is like buying the most expensive car for a 21-year-old. It isn’t necessary, and it can also cause a ton of problems, because first you have to familiariz﻿﻿e﻿﻿ yourself with the instrument. Before you turn into a fantastic player, the most important thing is to learn the ropes. Also, you have to take into account that you may not end up loving your instrument. Yes, it may sound impossible right now, but this is always an option, especially among the younger generations. Why if you spend thousands of dollars for a keyboard and after a couple of moths realize that you’re not too keen on keyboard after all? Yes, you can always sell it, but you’ll save yourself a lot of fuss by keeping things straight and simple. So, our advice is to start with an average-priced instrument, and then move on up, after some time. Well, maybe sometimes, but not in this case. Don’t always go for the biggest keyboard possible, because you probably won’t need it. If you’re an absolute beginner, be sure to go for a smaller one, or a medium-sized one, because that will fit your needs perfectly. If you’re a bit more experienced, but still in the apprentice universe, you can go for a bigger keyboard. But again, bigger doesn’t mean better. You should know exactly why you’re buying the instrument. Where do you want to play – at home for yourself, or with a band? What is your end goal – to be a professional musician or not? All of these things should be taken into account, so take your time and think wisely. Keyboards come in so many sizes, and for a reason. If you’re not sure, ask a professional for advice, but be sure to put enough thought before deciding upon a certain type of keyboard. Before buying a car, you usually take it out for a test drive. Well, it’s the same for instruments. The last thing you want to do is to buy a keyboard without playing it a little. The answer is quite simple – to hear what it sounds like. An instrument is a “living thing”, and it should be treated as such. You absolutely have to test an instrument before buying it, or you may easily end up with a bad one. Of course, if you’re a beginner and don’t know how to play – that may be a problem. In that case, bring a friend with you to the music store. Even better – bring a professional musician, if you know someone like that. It’s always better to have an experienced person trying out an instrument. They will be able to play it, test it, see how it sounds like and ask the right set of questions for the salesperson to answer. If, on the other hand, you decide to shop online and order a keyboard, be sure that you have a money-back guarantee. What if you’re not satisfied with the instrument you buy, for any reason? Having a money-back guarantee with remove a lot of potential problems down the line. So, testing your instrument, and making sure you can return it if unsatisfied, is absolutely necessary if you want to purchase smart. Here are a couple of keyboards that are a great combination of quality and price. We’ll review each one of them separately, so that that you have a clear picture of what you can get for your money. This is a great keyboard for beginners who want to develop their playing skills. On the technical side, it has many options great for playing. You can connect it with your MP3, or your computer, and hear the sounds through its internal speakers. As far as its power features are concerned, it has batteries and a power adapter, and you can choose your preference. The keyboard itself gives a clean, nice sound, and the notes are sustained quite a bit. You have a whole bunch of effects to pick from, and you can really make the whole playing experience quite enjoyable. There is no AC power cord, which can be a bit frustrating. Some people consider that the AC power is not included is a pretty big thing, and maybe it is, but there is always the option of purchasing additional equipment. Other than that, it’s a really nice start, so do check it out. Again, an excellent choice for beginners and intermediate players. The customers are generally more than happy with its features, as it offers you much for it’s money’s worth. The sound volume it gives is very good and the sound is quite nice. This is not a replacement for the piano, because it wasn’t conceived as such, but it is definitely worth checking out if you want something decent and reliable for starters. 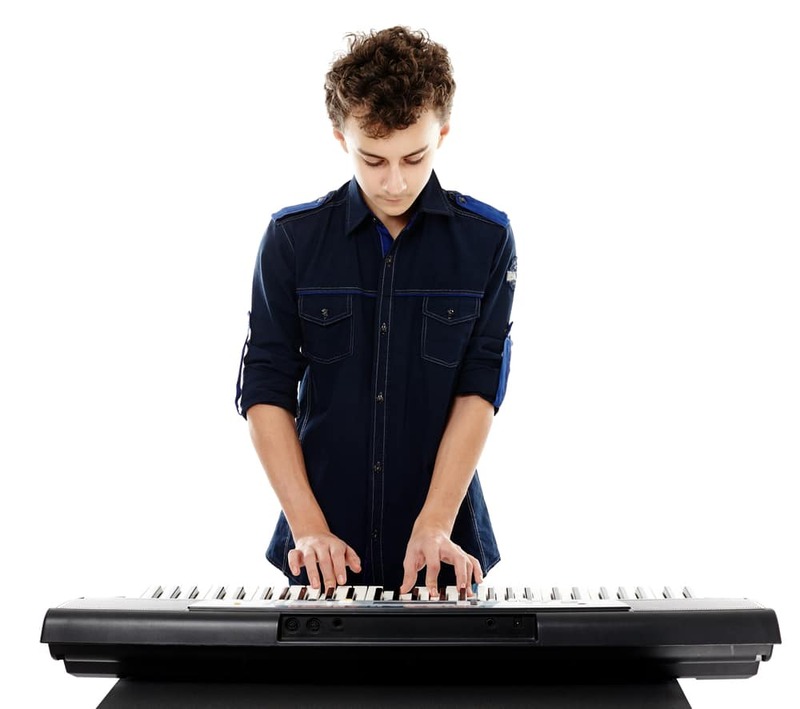 The keyboard can serve both as a toy and an instrument, which makes is well-suitable for younger generations. The sound - although the overall quality of sound is good, it doesn’t come through as a professional instrument, which may be offputting for some. To an untrained ear, it will sound just fine – even great, but more experienced players have their issues with it. This is a great children’s keyboard designed to help them create their first piano keyboard steps. It has an amazing amount of features that will fascinate every child, boosting their creativity and love of music. It offers over one hundred tones, rhythms and songs, with high quality of sound. There is also a super-easy feature of switching between piano and organ mode. If you want to practice, there are rehearsal songs waiting to be discovered. You can practice along them and develop your playing skills. This is not an instrument for adult players, so don’t treat it as such. If you want something more than a children’s instrument, it probably isn’t for you. It has its limitations in sound quality and output. With over 60 dynamic touch keys, 180 rhythms and more than 100 songs, this is just what you need to get started. This is indeed a great instrument for jamming with your friends, or for starting out as a composer. Do try it out, because it’s quite enjoyable and suitable for all kinds of musical adventures when you’re starting out. There is a great memory, where you can store everything you have, and create your own music from the comfort of your home. The key are not pressure-sensitive as a proper piano would be, so it’s kind of limiting in that sense. This is one of those amazing keyboards with a lot of great features and options that will turn your playing experience into something really good. It’s especially suitable for those completely new to the world of music, so if you’re an absolute beginner – this is an instrument for you. As far as its features are concerned, there are 400 effects to choose from, as well as a three-step learning system to help you out. There are also 110 built-in songs, and you can play around while learning how to play. The headphone has low quality of output signal. The headphones may sounds cheap, and they may not go quite well with this keyboard, but all in all – it’s a great instrument for discovering the joy of music. There really isn’t a definitive answer to this question, as it depends upon a person’s preference. However, if you’re an absolute beginner, it might be a bit easier to start with the keyboard and then move on to the piano. The reason for this is that piano can cause create too much resistance on the fingertips. It may also be more difficult in terms of producing sound. If you are new to the instrument, your fingertips are very soft and playing the piano can make them feel quite sore and painful. Also, keyboards give sound more easily than pianos. In order to get sound from a piano, you really have to press the keys hard. Keyboards are more suitable for softer playing, as they don’t require that much force upon the keys. All in all, if you’re a novice, it would probably be better to start off with a nice little keyboard instead of a piano. Of course, in order to develop a complete grasp of the piano, it’s necessary to play one. 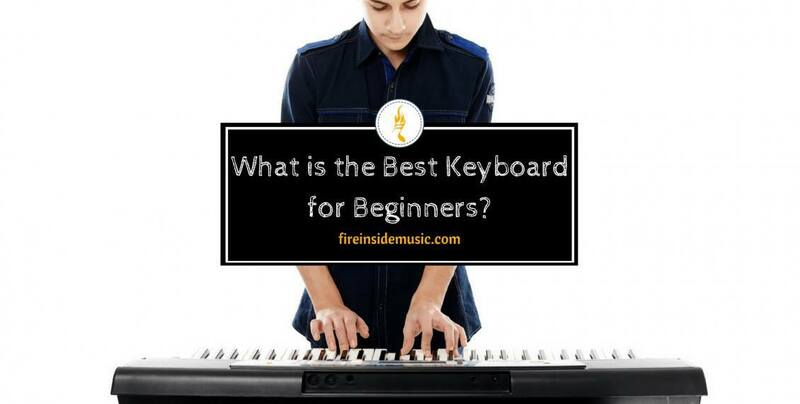 However, if you’re still learning how to play, it’s great to start on a keyboard first. By doing this, you will get to know the basics of the keys, basic techniques, finger positions and scales. Afterwards, it will be much easier to change instruments and focus solely on learning piano, if that’s what you want. Once you decide to switch to the piano from the keyboard, you can expect minor difficulties along the way, while your fingers get used to the “new surroundings”. Luckily, this period will last just for a short time, and you’ll be able to fully enjoy piano playing soon enough. This is an interesting question, as many novices get quite confused when confronted with a choice of buying a keyboard. The real problem here is not the number of keys a keyboard should have, but its use and “applicability” to your exact needs. Keyboards range from 25 to 88 keys, but you shouldn’t focus too much on the number of keys to give you quality. If you’re a beginner, you probably won’t need too many keys, as you would probably be learning the ropes in the first couple of months. However, if you get a bigger keyboard, you will start adjusting to the more professional-looking instruments right from the start. All in all, you won’t make a mistake if you get a smaller instrument, with just a couple of octaves. 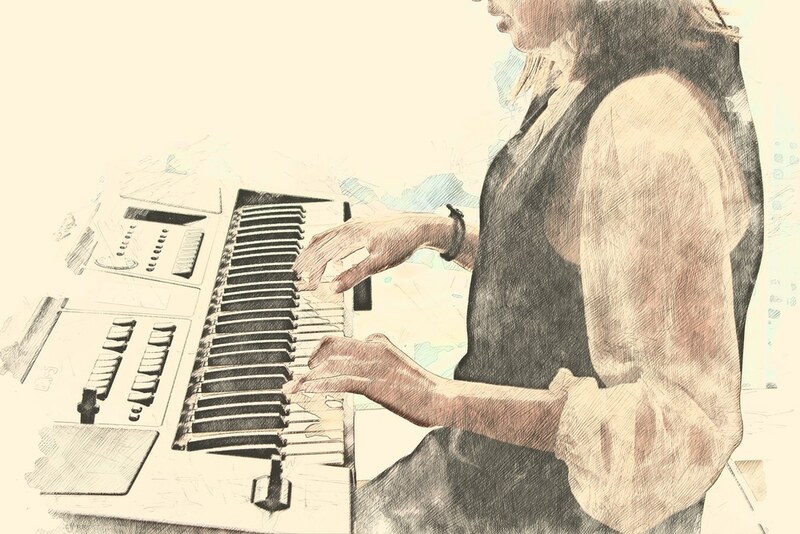 Anyway, you would be better off as a professional musician with a bigger keyboard by your side, because it will give a lot more to draw from. If you are committed and highly motivated, you will be able to learn the keyboard in a month, or two – the basics, at least. If, on the other hand, you want to turn into a professional player, it may take several years before achieving your goal. The famous guitar player, Ry Cooder, once said that you never “learn” your instrument, you simply advance on it. Don’t get into the whole keyboard-playing thing expecting to become a pro overnight. You have to stay committed and never lose sight of your end goal, so – being persistent is crucial. It is going to be very hard at times, but it doesn’t mean that you won’t have the desired results in the end - on the contrary. By being persistent and determined to master the art of keyboards, you will eventually reach your destination. But it will not happen unless you work like hell. Jimi Hendrix was famous for his superb, innovative guitar-playing, but it’s a well-known fact that he spent twelve hours per day playing his instrument. That is - 12 hours on average. Oftentimes, he would play even longer than that. This only goes to show that, unless you put in a substantial amount of work – you will never learn to play the keyboard. You may be able to play around with it, but it won’t be considered proper playing. Therefore, make sure that you practice on a regular basis (at least three times a week) if you want to learn to play the keyboards. The best option would be to practice daily, but if you cannot find that much time – three times per week will do for starters. Just be sure not to lose your temper along the way. Patience is also very important, especially while making baby steps in your keyboard-playing. Don’t rush things, as learning how to play an instrument cannot be rushed. Keep practicing, and allow for the knowledge acquired to sink in. There is no such thing as an overnight success, although many people tend to believe this myth. What we call an overnight success is usually someone who’s been working hard for at least a decade. You may become well-known overnight, but that’s not success - it’s just fame. True success is always the result of hard work and dedication. So, work hard, stay motivated and dedicate yourself to learning how to play the keyboard. Eventually, you will become a true player. In order to become a real master of your instrument, it should take you at least ten years of daily practice, hard work and dedication. And this doesn’t mean that you would be able to play just about anything that comes your way. Being a master means knowing a certain field of music quite well, and being able to play well in one genre, or sub genre. No one can be the best there is in all the genres. If you’re into blues and jazz, don’t expect to become a master of classical, or even pop music, for that matter. Each musical genre has its own set of intricacies that are to be explored and embraced. All in all, if you really work hard, after a decade or you you’ll be able to master your instrument and be truly great at playing it. There are many ways of learning a musical instrument on your own. Probably the best and quickest way is by watching others play. You can watch YouTube videos and tutorials on the subject, and learn a ton of useful stuff. Mind you, there is so much online content that you can easily get lost searching for the best there is. It’s best if you start small and simple, from simple phrases, licks and tricks to help you along the way. If you’re completely new to the instrument, then it’s probably the best to start by watching videos about music theory and technical stuff. It’s equally important to sit properly as it’s important to play well. A great thing about videos is that you can pause them any time you like, and rewind to double-check on a certain point in the playing. You can even slow them down and learn how to play a specific part, or a couple of notes, at your own pace. There is always an option of finding a tutor, or playing in a makeshift band, with your friends. But if you want to learn on your own, then you should definitely go for online videos, as they’re the best. Once you start learning how to play with online videos, you should make a special folder for your playing. There, you should put all the links to videos you covered, with side notes to track your progress. 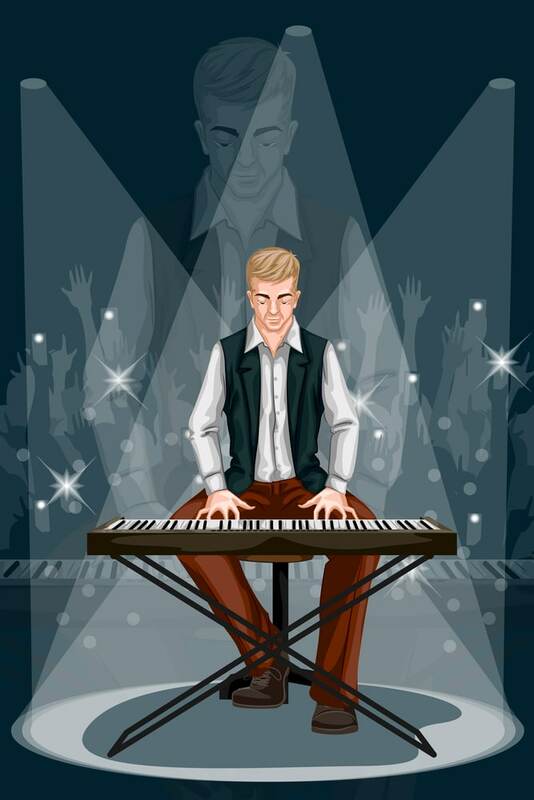 This is great for your future development, because you will be able to see how you slowly turned into a better musician, and how you mastered playing the keyboard. It’s also a great idea to track your progress by keeping a diary, with entries for each practice session. Just put a date, what you covered on that day, and how you feel like after playing. Was it satisfactory? Are you tired? Did it feel boring or enjoyable? These types of questions will keep you focused and engaged. In my opinion, after doing a bunch of research, I literally found that Casio CTK4400 is the best beginner keyboard not only for the quality but also for the budget. It can be considered as a good fit for someone who want to find a keyboard to learn piano on as well. 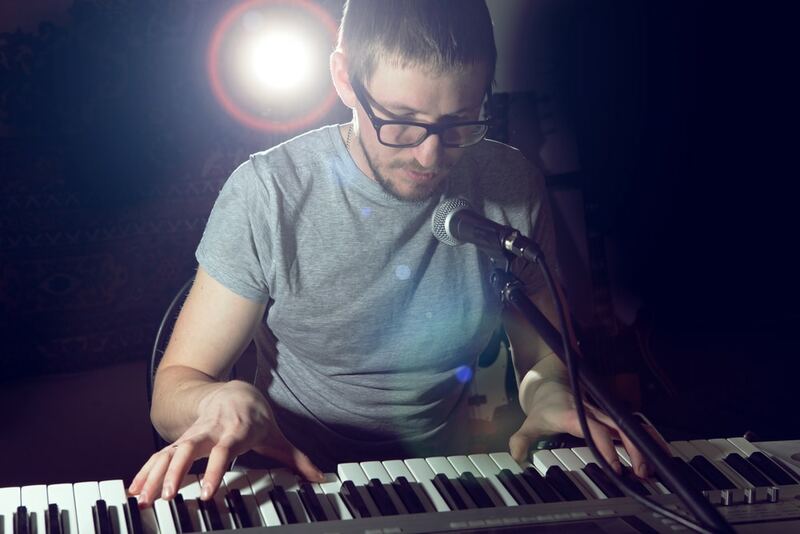 However, these are just some of the options for you out there, and the basics of playing the keyboards as a beginner. Be sure to do your own search, and find an instrument that suits your needs. There are a ton option for you to discover, but be sure to take into account our advice, and you will find a great keyboard to start playing.